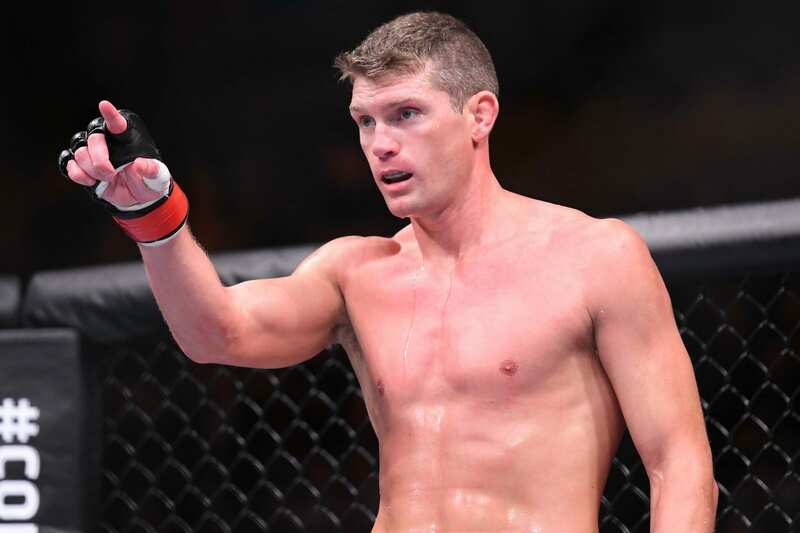 Former lightweight champ Anthony Pettis shocked the MMA world when he knocked out former welterweight title challenger Stephen Thompson with a vicious ‘Showtime Punch’ (watch it now) in the main event of tonight’s UFC Nashville. 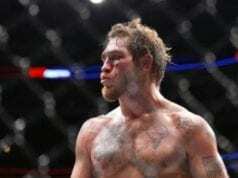 Making his welterweight debut at the Bridgestone Arena in Tennessee, Pettis was largely outstruck and controlled by the rangier Thompson in the fist two rounds. However, the onetime superstar channeled his infamous ‘Showtime Kick’ from 2010 to bounce off the cage and knock out ‘Wonderboy’ cold with a Superman punch. It was an out-of-nowhere moment that had MMA social media with their collective jaws on the ground. The victory predictably earned ‘Showtime’ a $50,000 bonus for his efforts – his fourth such consecutive post-fight award. But amid all the buzz and hype, talk wasn’t on ‘Wonderboy,’ the fighter who was winning the fight on all accounts before the one huge punch. It’s a disheartening loss considering that Thompson had a golden opportunity to get back into the title picture now that Tyron Woodley lost the title. Instead, he lost to an unranked former lightweight in a fight where a win wouldn’t have really gotten him anywhere. Kudos for taking the fight and he was winning it, but that’s also the danger of taking so-called ‘fun’ fights against the best in the world. It’s not always fun, as we see.